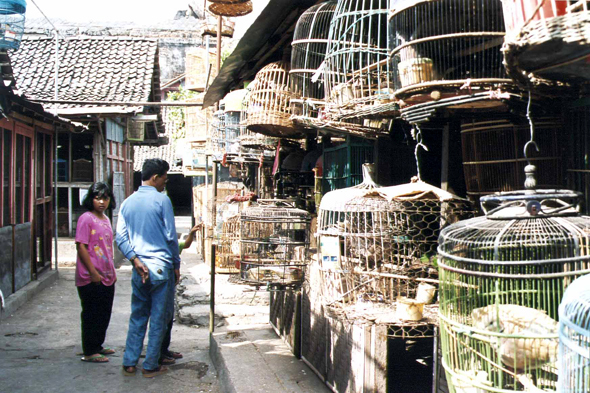 The birds market of Yogyakarta. The market receaves all kinds of curiosities. Behind the colored wood cages where the gamecocks snort, snakes, monkeys, vampires bats and other ants complete an exotic bestiary often a little insalubrious for the Western eyes.